All of our footwear sizes (displayed above & also on Shoe Boxes) are UK unisex sizes. So for both women & men please order your usual UK size. Note for men we do recommend choosing the shoes with a 'wider fit'. In which case still order your normal shoe size. This should give you the most comfort in your new shoes. When you receive your footwear it will also display a USA size as it is manufactured in the USA. 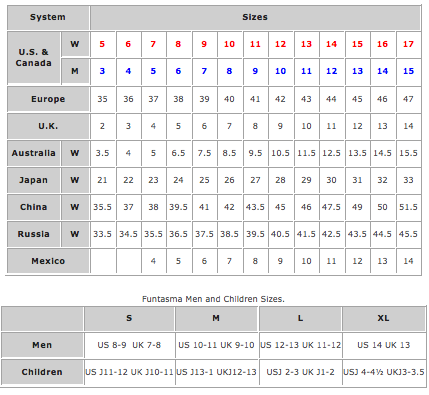 Above you will see the relationship between USA, UK & EU sizes.